Matt Piekutowski is the Vice President of Strategic Programs for SOAR Performance Group. Matt is responsible for leading the structure of SOAR’s Sales Capital Management programs, developing alliance partners and driving targeted marketing initiatives. Matt also works closely with clients to develop and implement client-specific solutions to take their team, talent, and engagement processes to the next level. Matt helps clients deploy blended solutions through live classroom workshops, live virtual workshops, on-demand training modules and on-demand reinforcement modules. Throughout his career, he has helped clients realize value through increased revenues, higher margins and stronger customer relationships. 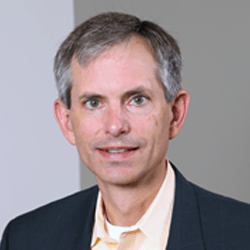 Prior to his consulting/training career, Matt held executive positions at EFI (formerly T/R Systems), a leading global provider of software and hardware solutions for document workflow and production. He also held sales and marketing positions with Firstwave Technologies (formerly Brock International), an early leader in the customer relationship management (CRM) software market and Darby Printing Company, a publishing and printing company focused on the legal market. In his various roles, Matt has traveled globally working with clients, customers and partners and has been consistently recognized for his outstanding and consistent performance. Matt is a graduate of Furman University where he received his Bachelors of Arts in Business Administration. During his time at Furman, he was a 4-year letterman on the baseball team and active in the Iota Nu chapter of Sigma Chi.